This is sadly out of print but readily available if you stalk Discogs. When I first experimented with leftfield non-music the idea of subjecting myself to another Wolf Eyes record after my experience with Burned Mind was a remote possibility at best. But as the years have trickled by and my ears have tuned in properly, a Wolf Eyes record is an exciting prospect. From the outset I should mention that this is not a collaboration. 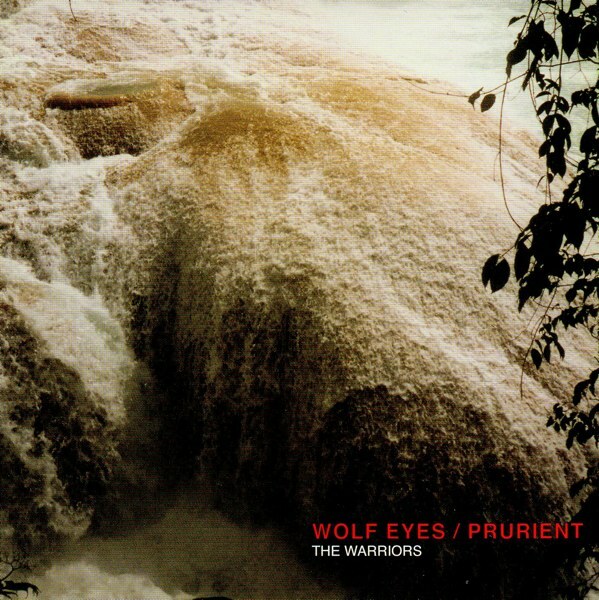 Wolf Eyes do the first two tracks and Prurient has the final eleven. I’m not entirely sure what the point of that is except perhaps a financial collaboration for the band. Initially on buying this I was a bit disappointed because I was keen to hear a pure collaboration like Prurient’s work with Kevin Drumm to Wolf Eyes work with Black Dice. But when I approached it as two separate EP’s from giants of the noise scene it became a lot more fun. The two Wolf Eyes tracks explore the creepier more minimal side of the band rather than the horror death disco of Burned Mind. They are great – brooding horror- capes of unsettling intensity. The eleven Prurient tracks rank among his best. High pitched scree and industrial clang moves into those distortion laden dark ambient passages found on Black Post Society. Quality stuff. This morning is New Years Day and after a night of being subject to a great deal of U2 and Powderfinger I’m probably enjoying this a little too much. This entry was posted on January 1, 2011 at 3:17 am and is filed under Music, noise, Prurient, Wolf Eyes with tags Music, noise, Prurient, Wolf Eyes. You can follow any responses to this entry through the RSS 2.0 feed. You can leave a response, or trackback from your own site. Great album. I particularly dig the Prurient tracks, though both are a good listen. There’s a sound on track 4 i think that has a high transient note that will cause all living animals within a mile to turn their heads in alarm.